>Are you planning to add eidetic memory books? No. Just use LoreBooks add-on. Collecting quest data. But you can use Quest Map add-on. >I can not see [pin name] on my map. >Can you add it in menu options? Just enable it in Map>Filters (see screenshot). >I do not see some pins on my map. Little add-on (400kb). It adds additional pins on your ingame map. This add-on do not use any map librares, it works directly with ingame map, so it is fast as possible. This add-on have no menu. To enable/disable pins use map filters (see screenshot). Default size for pins is 20. Use slash command: /pinsize 16-40 to change it. - New settings. All settings are reseted to defaults. Need to enable pins in Map>Filters. - New maps. Jevelry survey maps is nearly full! Thanks to all for helping me to collect it! Special thanks to GaelicCat. Wrothgar relic hunter now removes pins when you have the relic in youe bag. And the Problem that MapPins don't save the closed Time Breaches when the Client is in german language? It is not a big problem. It shows rifts. It must be enough. Was fixed one symbol. Will be updated later with the Elsweyr updates. I love your Addons but please don't Fix only BanitUserInterface. 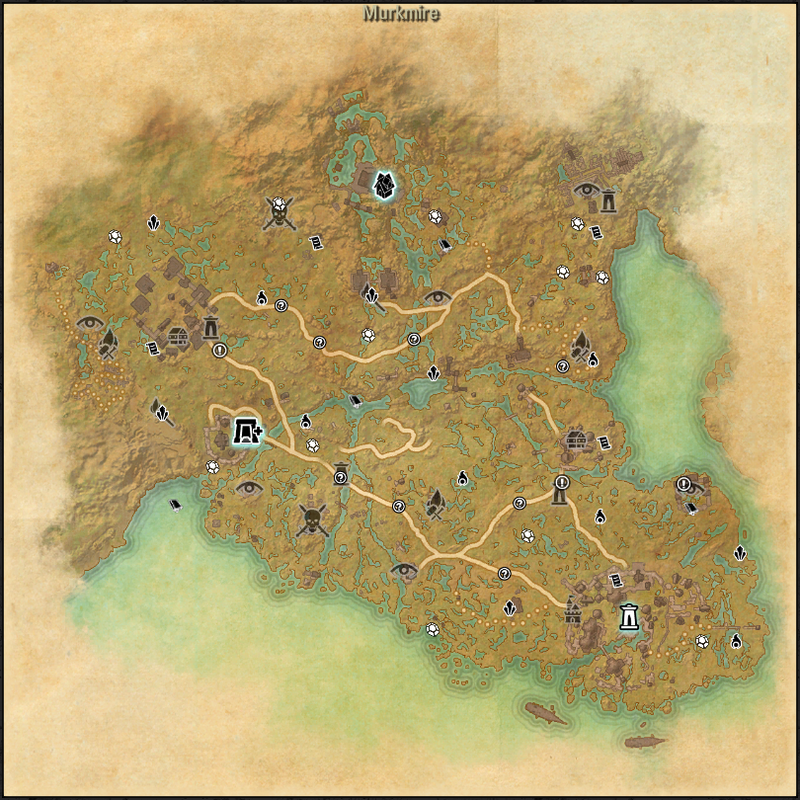 Nothing to change in MapPins from Murkmire. But Elsweyr is near. New updates are coming. Last edited by Dingodan : 04/19/19 at 02:05 AM. I was not asking you to add a feature. I simply asked if one already existed. I figured maybe it was there and I just didn't notice it since usually when you get a node the icon disappears from the map. I had a couple that were not disappearing in the time rifts section so I was curious if there was a manual way to tell a specific node to not show so i could manually mark the ones i completed that it did not catch. 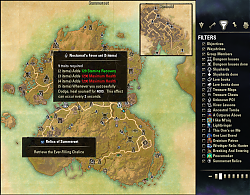 Is there a way to mark a Pin as specific pin hidden through the UI, in the case of the psijic pins so that we dont repeat paths. Understand noting. Anyway I'm working on add-ons. Not as "I wish to" support. I love your Addons but please don't Fix only BanitUserInterface. I've seen in the last days more BanditUI fixes than for all other addons. 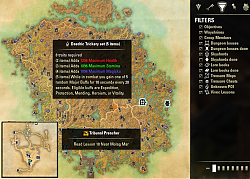 Re: Re: Summerset rifts still show up on map. Map Pins for Rifts are enabled but them don't disappears. Is it maybe an fault with the german client an map pins? Zeitriss is it called in the german UI. But i don't know how it's called in the german code. I make an experiment and collected one Time Breach with Client language in german and the Time Breach don't close on the Map than I changed the Client language to english and collected another Time Breach it closes on the Map and Map Pins also make an entry the savedvars. NOT with the german Client language. Last edited by Dingodan : 04/13/19 at 02:05 AM. 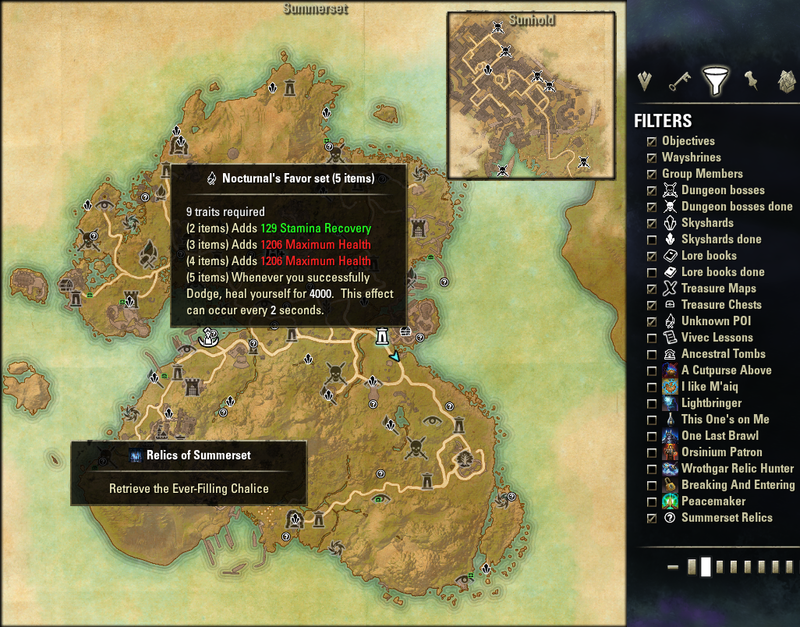 Re: Summerset rifts still show up on map. I have 4 toons. All toons have closed all the rifts in Summerset and are working on other areas. However, on one toon the summerset rifts still show up. 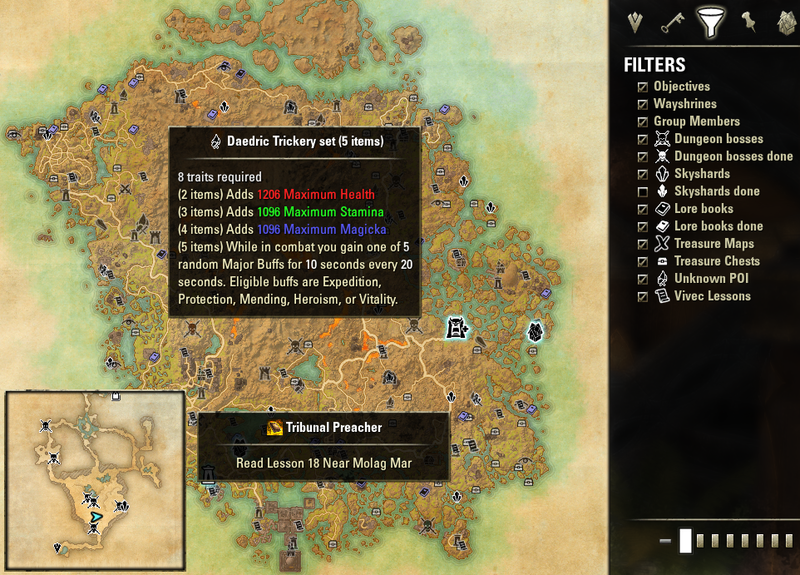 How do I clear the Summerset rifts? You closed a part of them without MapPins. Close all rifts (complete Psijic quests) and then uncheck "Time Rifts" for this character. I turned on MapPins and did the Summerset Time Break clears, but the Breach west of Alinor did not clear. I now have the quest for DC but they all say take the quest. How can I fix the MapPin data to show that one Breach as cleared? 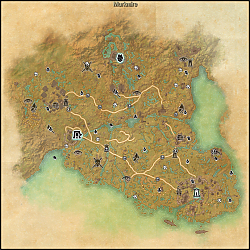 In looking at my savedvars all the Summerset Time Breaches show true, but that 1 still shows up on the map and has a note to start the quest. Same goes for the ones in the DC area. I fixed it. #2 in Summerset was missing from savedvars. I add 2 = true and it cleared it off the map. Last edited by HllCntryHrrcane : 04/11/19 at 11:23 PM. Anyone else noticed that after a while the text on every pin on the world map seems to be written twice? Last edited by Nitrius : 04/07/19 at 12:57 PM. At "TimeBreachClosed" isn't any entry on all my toons and yes I've done with nearly all Character the Psijic Quest Line. Last edited by Dingodan : 04/03/19 at 01:47 AM. is it possible to add the feature to hide already collected time rifts? They disappears when you close them. If you did it without MapPins or with disabled Time Rifts filter then... NO.